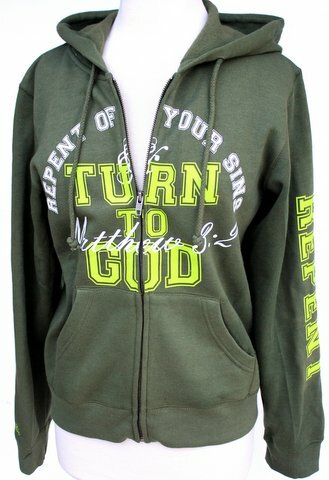 Women's Zip Up Hoodie Matthew 3:2 "Repent of your sins and turn to God, for the Kingdom of Heaven is near." in a retro lime green over oregano green. 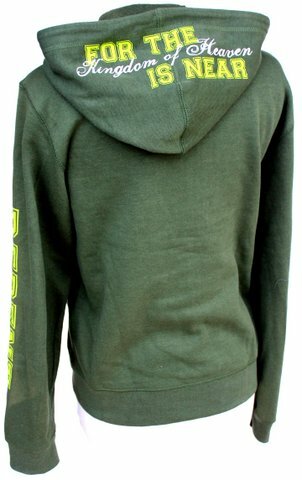 Material is made of 95% Cotton 5% Spandex. Super roomy and comfy!